Continuing in their commitment to excellence, Federal Resources is proud to announce ISO 9001:2008 recertification. Stevensville, MD (October 10, 2017) – The NSF International Strategic Registrations (NSF-ISR) has recertified Federal Resources to ISO 9001:2008 for its quality management system of value-added kitting & mechanical assembly, distribution, maritime technical services, such as welding, NDT, fabrication, assembly, test & inspection, and servicing of strainers and related products for the U.S. government and related Industries. 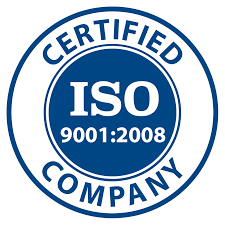 ISO 9001 provides a set of uniform requirements for a quality management system and is the global standard for quality management systems. It provides a set of uniform requirements for a quality management system to ensure an integrated and holistic approach to quality. The standard is based on a number of quality management principles including a strong customer focus, support of top management, the process approach and continual improvement. “We’re supplying life-saving equipment into the hands of frontline military, law enforcement and first responders; nothing is more important than the quality of our goods and services,” said Robert McWilliams, Federal Resources CEO. “Every member of the company is wholeheartedly dedicated to the pursuit of exceptional quality. By examining our enterprise at every level during the demanding ISO recertification process, we assure that our customers are receiving superior customer service and the highest quality,” continued Kevin Thompson, Federal Resources Senior Vice President of Operations. Federal Resources is also a Defense Logistics Agency (DLA) Superior Supplier recipient, a recognition for companies that consistently perform well and deliver high-quality products to warfighters. Founded in 1986, Federal Resources is a leading provider of quality products and mission-critical solutions that support the U.S. Military, Federal Government, State/Local Responders, and International Markets. Specializing in comprehensive life-cycle sustainment solutions; procurement and acquisition; technical services and asset management; and training expertise, the organization is dedicated to serving its diverse range of well-established and emerging market segments. Federal Resources strives to fulfill and expand upon its mission to ensure end-users are equipped with the most innovative, reliable, and cost-effective products and technologies available on the market. For more information, visit https://www.federalresources.com.